Home › Blog Topics › Libraries Welcome All Families: Makerspace Mondays! The YALSA Call to Action Futures Report challenges libraries to “leverage new technologies and become kitchens for ‘mixing resources’ in order to empower teens to build skills, develop understanding, create and share, and overcome adversity.” In Hampstead, MD, a small town in Carroll County, the school library at Shiloh Middle School assumed that “kitchen” motif on Monday afternoons once a month, as school librarian Holly Furhman, and Amanda Krumrine, library associate II at the Carroll County Public Library (CCPL), partnered to provide a variety of STEM experiences to middle schoolers on Makerspace Mondays. Makerspace Mondays were born out of the realization that tweens attending this middle school did not have transportation to the CCPL during the week or on weekends whenmaker programs were offered due to lack of public transportation in the community, dual working parents’ schedules, and the distance of the nearest library branch to many neighborhoods. The goal was to expose students to a variety of maker opportunities in a relaxed environment. The Makerspace Mondays partnership began in 2016. 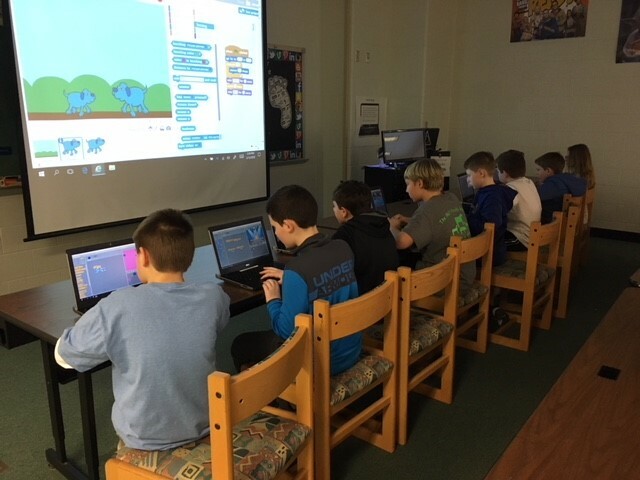 STEM exploration through instruction and interaction included rocket design through Kerbal Space Program resources; virtual reality using Google Expeditions and Vive; maker creativity through 3Doodler pens, strawbees, and 3D printing; and coding with Spheros, Ozobots, and Cubelets. After Krumrine guided the middle schoolers in the use of Scratch, they were making video games in 30 minutes or less! The middle school contributed materials and resources, also, to support these Monday adventures, including Circuit Scribes, Origami, Q-Ba-Maze, and more. This partnership raised awareness by youth, their families, and school staff of STEM programming and resources available from the public library in their community for enrichment and academic support. 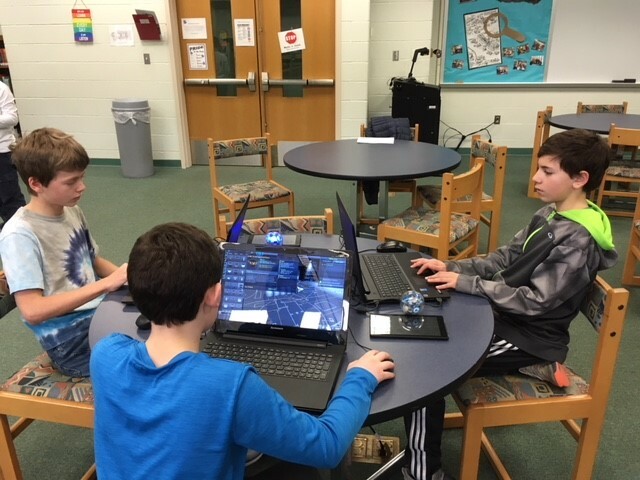 It also spurred development of Shiloh Middle School’s own makerspace area for students to create, discover, and explore more often than one Monday a month. Now, students are able to access those tools during the school day. Their own Makerspace Club meets monthly, where students use maker resources to problem-solve with hands-on activities. Replication lessons learned from this school/public library collaboration? Communication and teamwork are critical in creating successful school/public programs for the youth. Contingency plans for activities and flexibility is key. Krumrine advises, “Assume the teens are not familiar with the technology or resource you are bringing, but be ready to adapt if they have used the materials before.” Be realistic with what you can do in the time of each session, and be open to learning new things from the teens. This youth/adult partnership and inclusion of teen voice, critical to today’s library teen services for and with teens, led to successful monthly events. 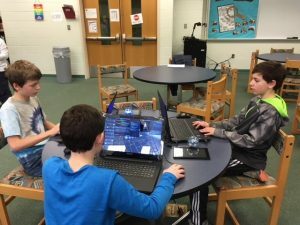 “Through Makerspace Mondays, we were able to meet the students where they already were while providing them with access to technology and STEM enrichment they wouldn’t normally interact with in school,” says Krumrine. Shiloh Middle School truly became a “kitchen” on these Mondays: mixing resources, staff, and learning so that youth could experience successful making. Carrie Sanders is the Youth Services Coordinator at the Maryland State Library and is a member of the AASL/ALSC/YALSA Interdivisional Committee on School-Public Cooperation.